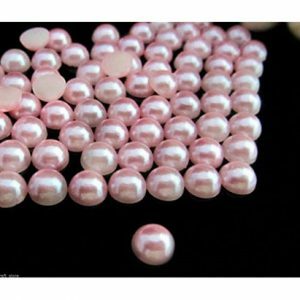 IVORY, GOLD, WHITE, AQUAMARINE, LIGHT ROSE, RED, LIGHT COFFEE, LIGHT BLUE, BLACK, CHAMPAGNE, LIGHT GREEN, LIGHT YELLOW. 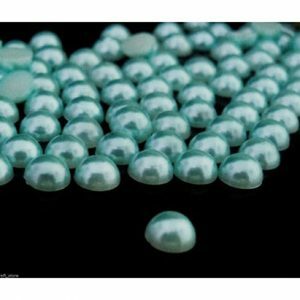 Top Quality Half Round Pearl Beads can be used for a variety of things such as Nail Art, Card Making, Arts and Crafts, Decorating Mobile Phone Cases, Computers, ipods etc. 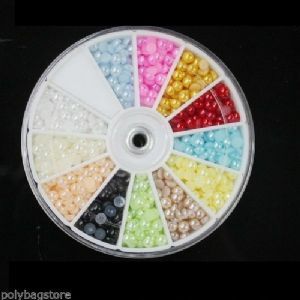 Also ideal for decorating Clothes and other personal items, the list is endless.